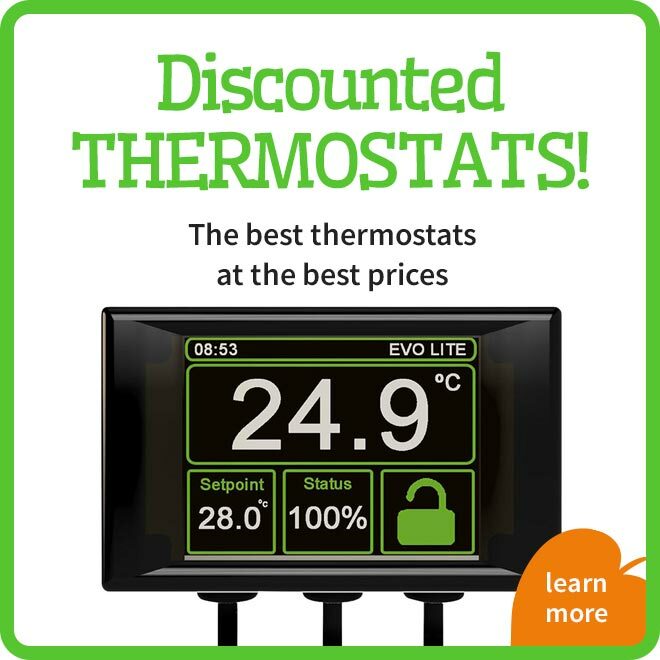 The successor of the popular Thermo Control thermostats shows only with its price that it is an entry model. 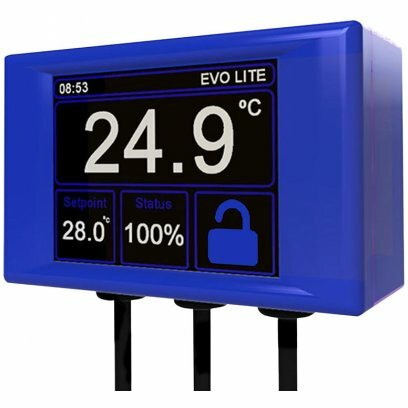 The Thermo Control II is a digital thermostat with a temperature range of 0-50oC. 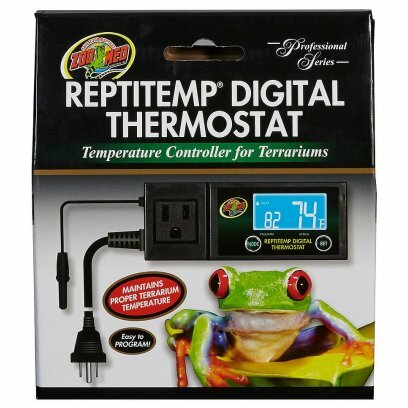 The permanent temperature displays also allows its use as thermometer. Heaters of up to 1000W can be connected through a coupling. A second coupling is controlled through an integrated timer. 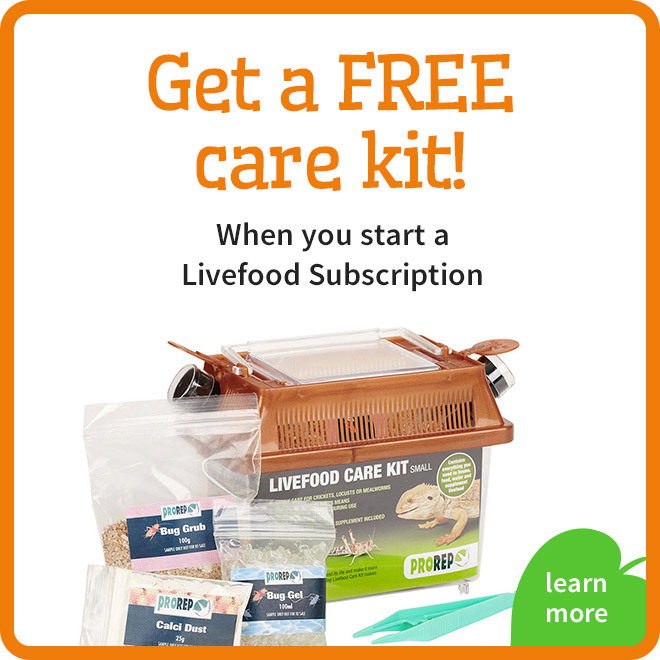 It can be used to set operating hours for lighting or ventilators. The external sensor can measure in water and air. 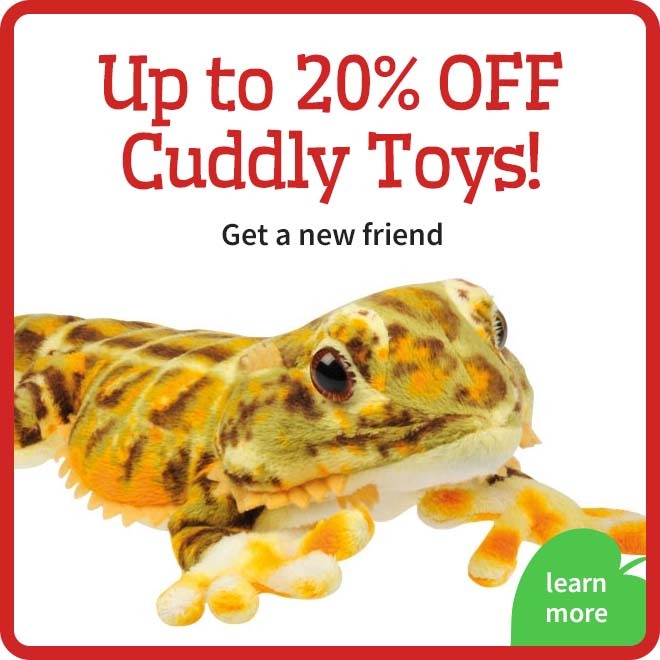 Overall a device that should not be missing in any terrarium! 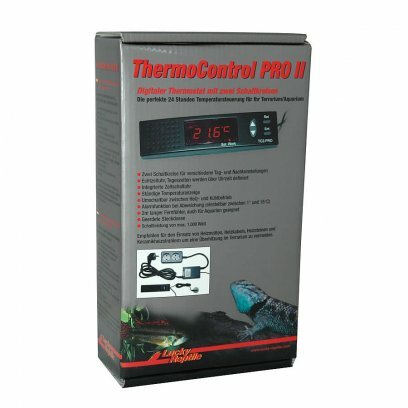 The Thermo Control PRO II is a modified Thermo Control II. 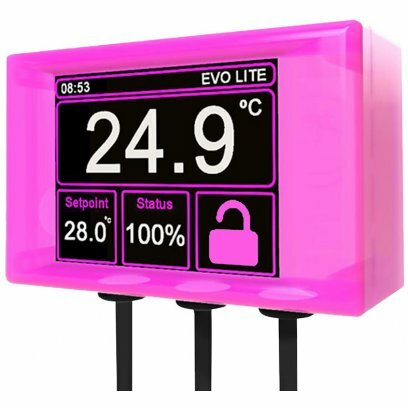 The main difference is the realtime clock and two temperature circuits which make it possible to set different temperatures for day and night. The switching between Day/Night mode is realized through the clock. 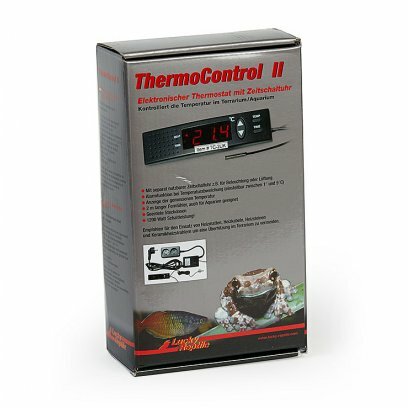 Contrary to the Thermo Control II the smallest time unit of the timer is one minute. Two possible ON/OFF times can be set like with a normal timer. In addition the device can be switched from Heating to Cooling mode, e.g. 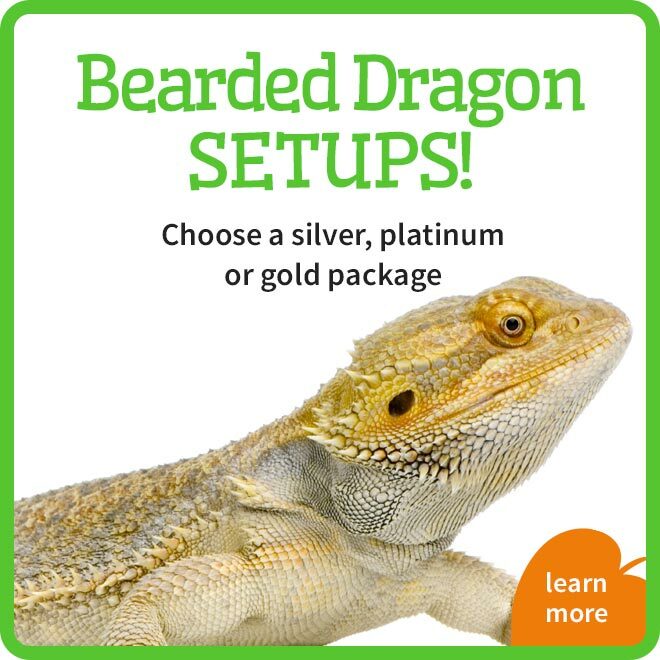 for using fans. 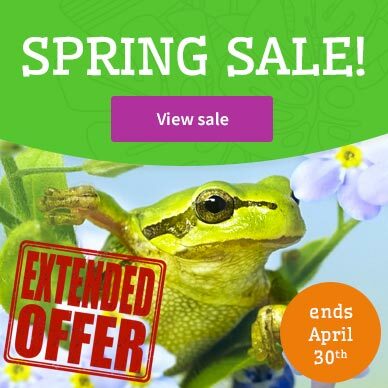 The maximum load is 1000W and the temperature area 0°-50°C. Controls Temperature by turning on heating devices in 'HEAT' mode or by turning on cooling devices (e.g., fan) in 'COOL' mode. 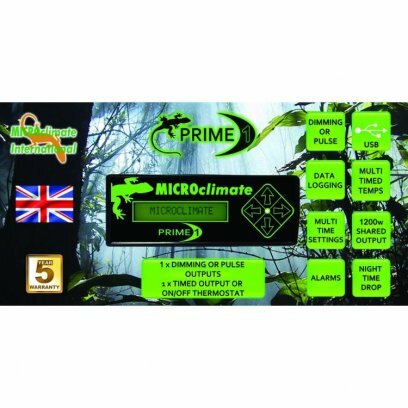 Remote Temperature Sensor with 6 foot cable. 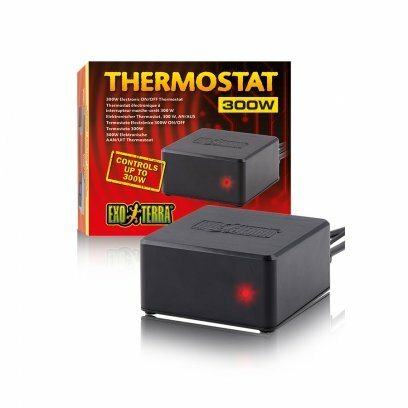 Controls up to 600 watts of heating devices. 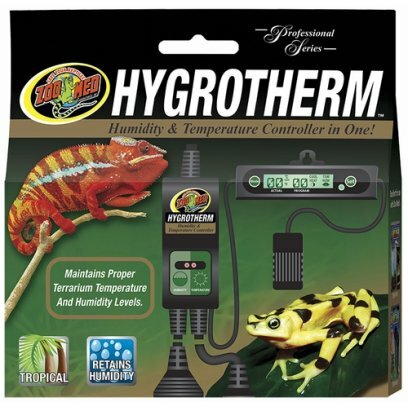 Controls up to 150 watts of cooling devices. 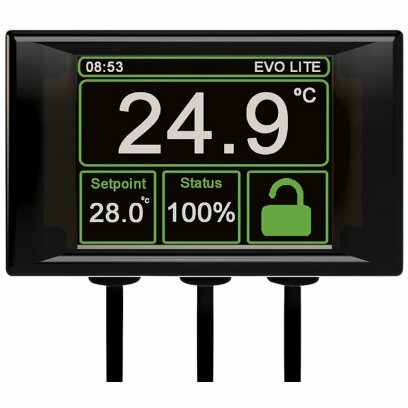 Brand new OLED (Organic Light-emitting Diode) display digital thermostat with an easy to use, graphical menu interface display. 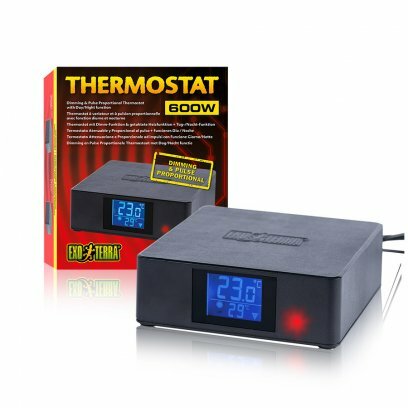 There are just 4 buttons to control all the settings of the thermostat and a real time clock enables time and temperature changes to be accurately pre-set with either constant (one) or day/night (two) settings in every 24 hour period. 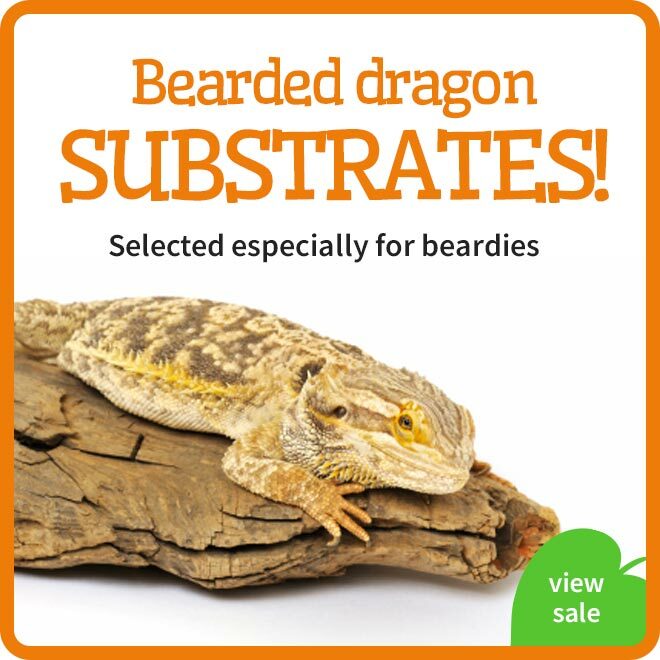 All are capable of controlling heat sources up to 600W. 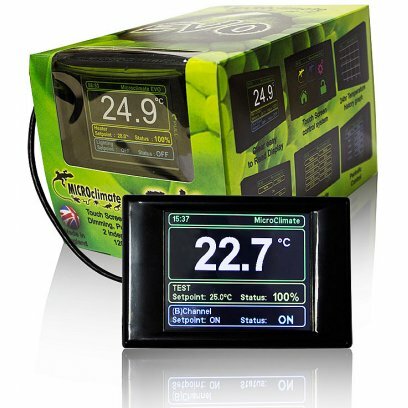 The Home screen can be fixed to show Time, Temperature or Power output (or all three) or scroll between them. 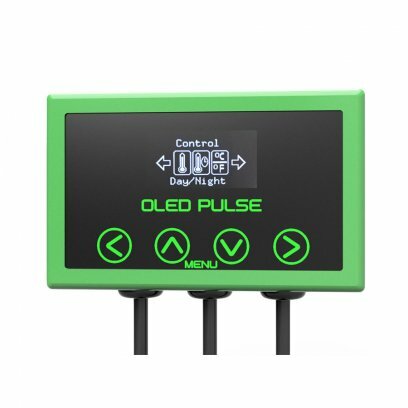 Available in Dimmer or Pulse models in both Black or Green. The plug and socket leads are both 2m long and the probe lead is 2.5m. 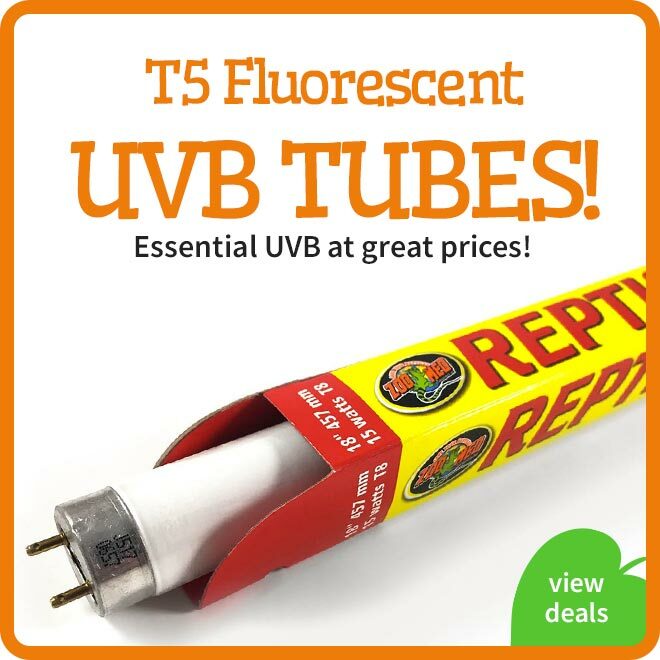 Made in the UK with a full 5 year warranty. 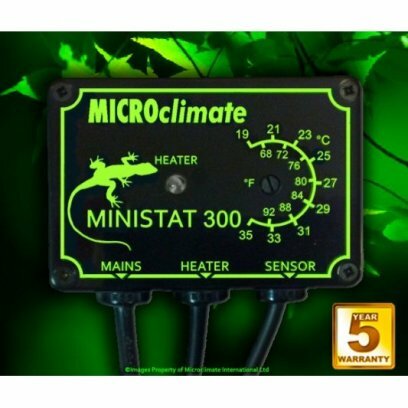 The ministat series of thermostats are on/off style thermostats that give excellent value for money and reliability. 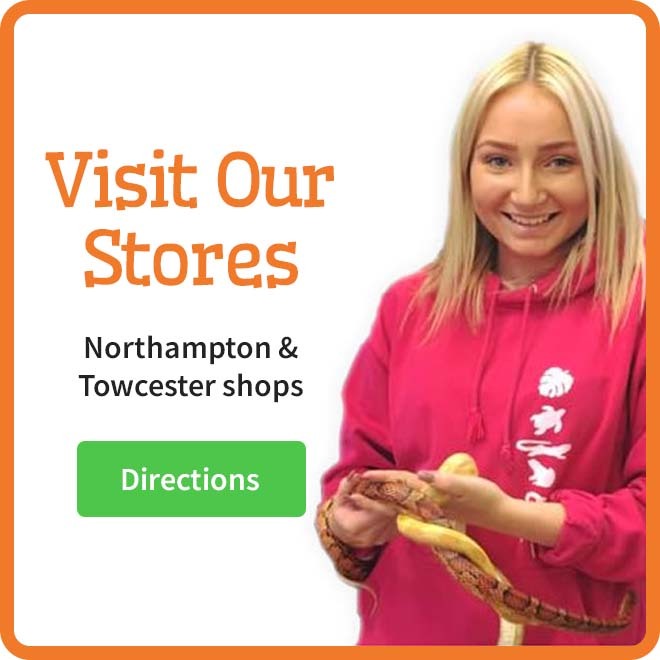 The ministat series have a tamper resistant dil which is unable to be knocked or changed accidentaly by a child which could casue terrible results. 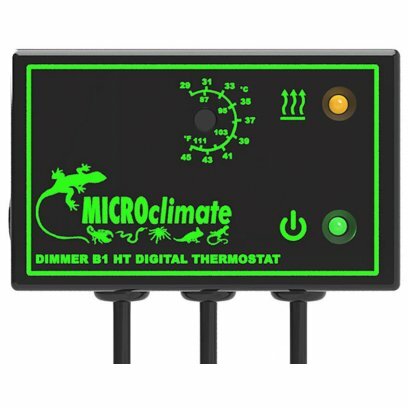 Extremely easy to setup, simply connect your heater to the socket on the thermostat, position the sensor in the vivarium and set the temperature on the front of the thermostat. 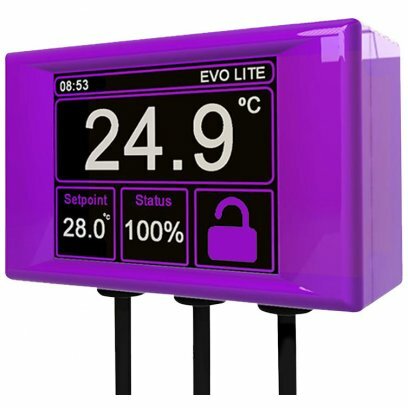 A large range of controllers and thermostats to allow you to control the output of your heating equipment. Varying interfaces and control methods allow for the accurate regulation of the temperature in your enclosure. 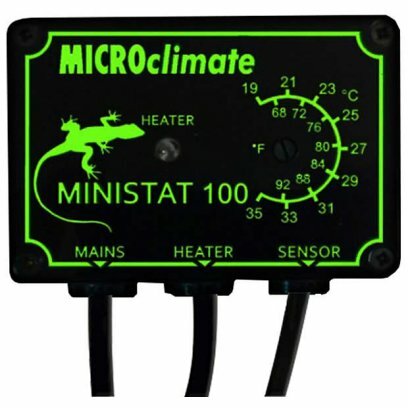 Ministats are a simple on/off thermostat which can be used with heatmats, heat rocks and ceramic heaters. 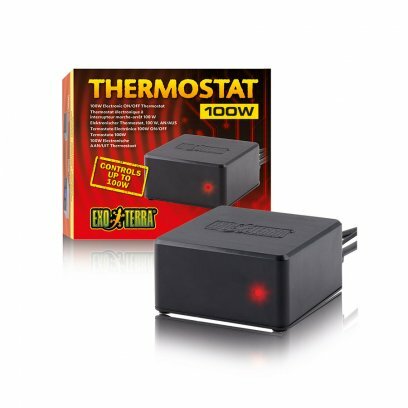 This thermostat will cut power to the heating equipment when it reaches temperature and turn back on when the heat drops. 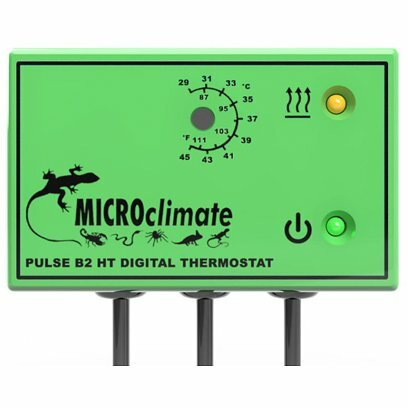 Pulse thermostats are a more accurate version of the ministat and will regulate ceramics, heat mats and heat rocks by sending pulses of energy to the heating equipment. 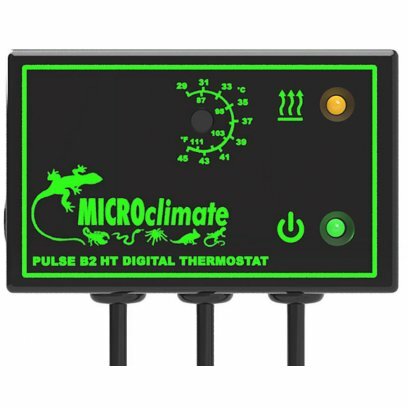 The thermostat will reduce or increase the frequency of these pulses to heat up or cool down the enclosure.